Mitotic index. Light micrograph of a section through a malignant (cancerous) melanoma tumour. 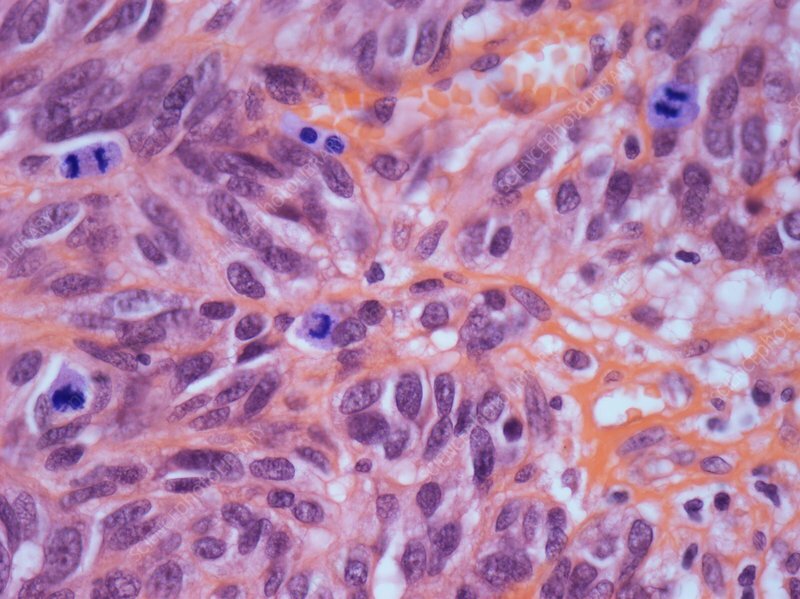 The mitotic index is an important prognostic tool that predicts both overall survival and response to chemotherapy in most types of cancer. It is defined as the ratio of the number of cells undergoing mitosis (cell division, purple cells) to the total number of cells. Magnification: x 250 when printed at 10 centimetres wide.